Very comfortable glove made with an exceptionally soft and supple Lycra that contours to the hand. The design is simple but effective. Firm fitting stretch cordura fabric allows for a snug fit as these gloves are designed to be worn under existing gloves or mitts. Not recomended for motorcycle use, since your existing motorcycle gloves will become too small to have the heated glove liners under neeth. These heated gloves have been used from jumping from a balloon 30km high, and used in a world record cold water dive (169 meter deep). For motorcycle use we recomend the XR-12 heated glove, the T-12 heated gloves or the supple and thin G-12 heated gloves. Recommended for use with un-insulated riding gloves, which are one or two sizes too big. If you want to use the heated glove liners together with our heated jacket liner, make sure you buy a splitter or a dual temp controller. 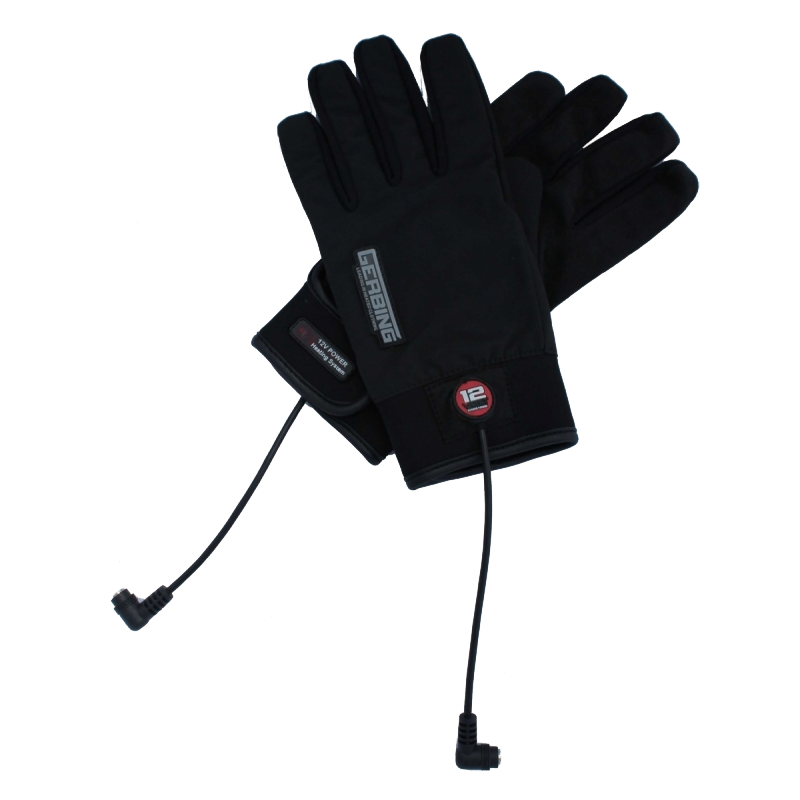 The L-12 heated glove liners can easily be connected to the sleeve plugs of the heated jacket liner. But since the jacket liner have a dual wiring system, the splitter or dual temp controller must make it one heating system again. 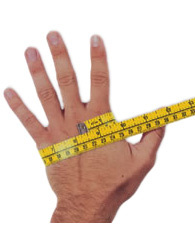 To find your best fitting glove size, measure your hand as shown here, and fill in your hand measurement: centimeters. Actual run time may vary depending on ambient temperature. Battery capacity decreases in very cold weather, especially if the battery is not insulated, and is left exposed to the elements. At less than 0°C a battery may only produce 80% of its capacity. It is very important to understand that our 12 volt products are designed to keep you warm in the most extreme cold situations. Therefore it is very important to check your skin regularly when using our products in warmer weather conditions. Our 12 volt products will feel warmer when the temperature is rising and it might cause burns. Our advice is to use a temperature controller at all times. An outside temperature of 5 degrees Celsius and lower is the ideal temperature for our heated products. Remember: heat is very personal. To extend battery life, keep even if the batteries are not used always at least 25% charged. In the summer charge the batteries therefore once a month. (Hint: write it in your agenda). You cannot use a junior controller together with a optional battery, but you need a long Y-cable. For any outdoor activity, we have our 7 volt collection in the yellow category when you don't want to be connected to a vehicles battery like all the products in the red 12 volt category. All the products in this section can be connected to a 12 volt battery. All the products can be connected to each other. TGerbing gives a life time warranty on the heating elements. Due to my bad blood circulation I was always cold. This was making my life miserable. I cannot describe how happy I am with my new heated clothing from Gerbing. It has improved my life considerably.